Young Cuban doctors take part in their graduation ceremony on September 19, 2005 in Havana, Cuba. Cuban doctors are practising here as part of a government-to-government agreement, a Health Professions Council SA spokesperson says. While even the most highly qualified foreign-trained doctors wishing to practise in South Africa are forced to go through a stringent registration process by the Health Professions Council SA (HPCSA), it has emerged that the same does not apply to Cubans. HPCSA spokesperson Priscilla Sekhonyana yesterday confirmed that her council treated Cuban doctors working in South Africa differently. “As far as the Cuban doctors are concerned, this is a government-to-government agreement,” she said in response to a question on whether Cubans undergo a similar registration process like all other foreign-trained doctors. The revelation over Cuban doctors comes amid an outcry by concerned civil society groups about the impact the lack of doctors and specialists poses to public healthcare service, amid the exodus of doctors such as legendary French HIV expert Francoise Louis, who faces an imminent departure after losing a seven-year protracted battle for an HPCSA-approved registration. Many qualified doctors have also complained of having to undergo compulsory “retraining” and internships, despite already having practised for several years. According to the department of health, South Africa and Cuba, however, have long-standing diplomatic relations dating back to 1994, which have led to the establishment of the Nelson Mandela-Fidel Castro (NMFC) medical collaboration programme. According to the department, the culmination of these relations were various bilateral agreements on public health, including the training of South African medical students in Cuba, as part of the NMFC. 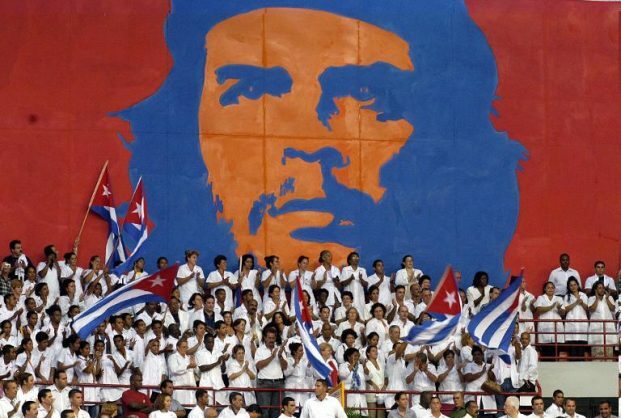 In terms of the Cuban medical internationalism, which began in 1959, the country is known for sending thousands of medical personnel overseas – particularly in Latin America and Africa – with a portion of their salary being deducted from and sent home in order to boost the Cuban economy. The HPCSA has denied that its processes and regulations make it difficult for foreign doctors to practise in South Africa. The HPCSA’s claims, however, don’t explain why specialists such as Louis struggle for years to get their applications approved. Louis was recruited from France where she had been working as an HIV specialist for more than 10 years; was part of the team who developed the national HIV treatment protocol; trained some of South Africa’s foremost health officials and HIV doctors; and worked in HIV in South Africa and other African countries for decades. This, however, was not enough, as she battled for seven years, supplying different forms of documents requested by the HPCSA. Last month, the council requested Louis to submit a “certificate of mentorship” from the French university where she qualified. Despite the institution not having such a document, the HPCSA refused to accept their equivalent version of records. Several other doctors have made similar claims of bureaucratic red tape, forcing them to leave the South African medical industry.